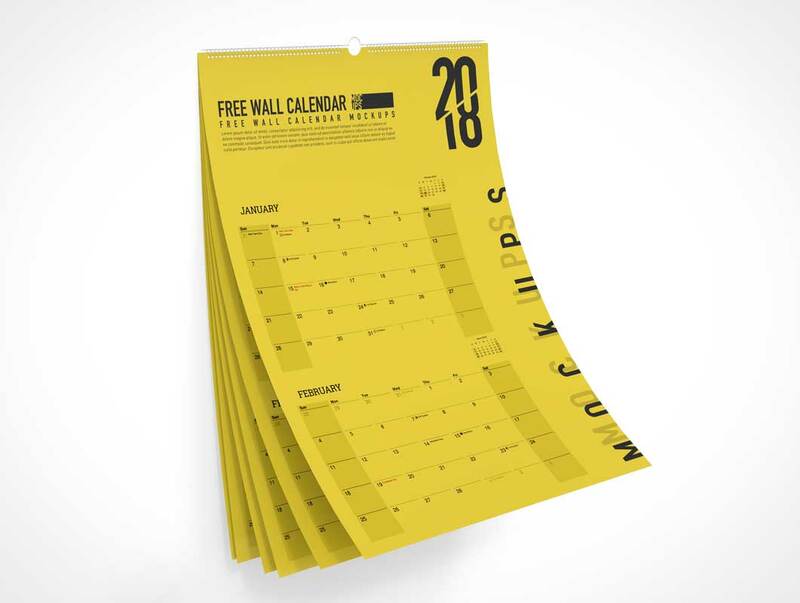 Print design mockups for today is Free Wall Calendar Mockups and you can download it for free. You can use this calendar mockups for A$ or A3 size. The format for the calendar is bimonthly so it contains six pages. There are four background textures included in the mockups, so you can choose which background you like, or you can use your own background image. The pixel dimensions is quite high, it’s 3800×2800 px and the DPI is 72dpi, you can change the highlights easily and place your design on the smart object layer with just drag and drops.